Don’t Go Solo But Sola! “The wicked flee when no one pursues, but the righteous are bold as a lion.” (Prov. 28:1). I could not in my own strength and power reach my High School. I needed to accomplish God’s will, God’s way. At 15 years old God chose two weapons out of his arsenal for me: prophesying scripture and praying scripture. One day while cleaning the church I went up a long passage of stairs to the attic and some of the folks were cleaning it out. I was wondering what treasures I would be able to plunder. I saw books! There were two books there. One was called They Teach us To Pray by Reginald E.O. White and the other The Gifts of the Spirit by Harold Horton. They let me have them. It was gold to me. The one prayer book was about the ABC’s of prayer. My favorite chapter was about Moses and the Benefits of prayer and how his face shined with the presence of God, along with Stephen the martyr and most of all, Christ. I wanted people to see Jesus in me. The prospect of having my face shine after I was done with prayer to let people see the reality of Jesus thrilled my soul. I knew prayer was going to be the key in my life. God saved me for his glory, so I could pray and have communion with Him through the Holy Spirit. Prayer was my wireless connection to God through the scriptures. I was reading The Gifts of the Spirit and the gift of prophecy kept being placed on my heart. I knew the Holy Spirit gave gifts according to his will but since the Bible spoke of, “covet earnestly the best gifts” (1 Cor. 12:31) I asked God for that gift. I loved preaching and the thought of prophesying, “to edify, exhort and comfort” excited me (1 Cor. 14:3). I did not want it to be me speaking but the Father, Son and the Spirit speaking through me. I began to pray about this gift and God’s will for me. It was then while I prayed it felt like God dropped a large coin in my Spirit. Something happened-and as all of God’s dealings with me anytime he did something big it was at first quiet, like a gentle soft breeze. Then later the results were huge. 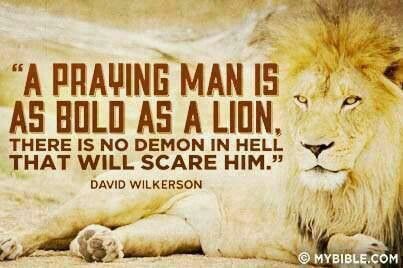 Prophecy was my wireless connection with God through scripture,“The lion hath roared, who will not fear? the Lord GOD hath spoken, who can but prophesy?” (Amos 3:8). One summer I met Rev. Loren Wooten. He came for our first revival. I did not know what a revival was but it sounded good. He was an older, seasoned man and they called him an evangelist. He preached different than my Pastor who was an excellent teacher. Brother Wooten seemed to be able to communicate the gospel in another capacity. Watching this man in his late sixties preach with the animation of a young man blew my mind. One night he said something about the account of David and Goliath that I can still recall to this day. He was illustrating how David confronted the Philistine, “He calls him an uncircumcised Philistine. You see what he is saying? I’m a little boy and I have a covenant. You’re a big giant and you don’t have a covenant. I am coming in the name of the God of the covenant and God will give me the victory-I can’t lose!” I had never heard about a covenant before-but it I found it was God’s commitment to us because we belong to Jesus. He was big on the topic of prayer. He gave us prayer journal loose-leaf and every day of the week had a specific theme which would have a great influence in my prayer time. Brother Wooten would hear me pray and all I would do is quote scripture in prayer and pray in the Spirit. He liked that so much he made me quote 2 Corinthians 10:6 in front of those people. He told the church he had not seen young men like Mike and I so on fire for God in a long time. To God be the glory. The only time I heard a prophetic Word, or interpretation on tongues was when Brother Chris Olsen would do it. He looked like he was seven feet tall as he reached up with one arm to the ceiling and rocked on his feet to his toes. I remember would say something like, “Yea, the Lord the God is in the midst of thee this morning!” He would weep and I was in awe. Not long after that during Bro. Wooten’s meetings I prophesied the first time. It was a few short biblical sentences that came to my mind and I thought my heart would explode. I gave the forth telling prophecy taken I believe from John chapter 10 and my Pastor was saying, “Praise God, praise God.” It was both wonderful and frightening. I learned to how speak out the Scriptures in prayer and prophecy by the leading of the Spirit. I was learning to speak the right thing at the right time-a skillful word in season. This would prove to be invaluable (Prov 15:23; Isa. 50:4). After that I drove our pastor crazy because I would ask him if I could use to church to pray. I liked being alone in church because I could let out my heart to God in private. He eventually surrendered and made a key for me to get in church. Oh God was so good to me! He gave me the key to his house! We had an altar railing back in those days and I would slump over it and weep. I would pace around the church sanctuary and worship until I felt to pray for others. I began to prayer two or three hours a night. Wednesday nights was intercession night I would get to church early before Bible study. I had a list of 168 people. Friday night was supposed to be prayer night-but no one ever came, except one night, at one all night prayer meeting. ©2015 Rev. Stephen S. Gibney, give credit where credit is due. DON’T TAKE THE IRREVERSIBLE MARK! I disagree with John MacArthur’s view on people being able to repent and be saved after taking the mark of the beast in the tribulation. The Bible talks about the seal of God Ezekiel 9; Rev. 7:3, 9:4. It teaches that the seal of God is irremovable. You will also see the example of Exodus 12 with the Mark of the blood on the door posts. Those people were protected. Those people who did not have it were not protected. I guess it’s worth the word study on the idea of the seal since we all are sealed unto the day of redemption by the Holy Spirit who know Christ as Savior. (Eph. 4:30). That mark of the beast is a terrible and awful thing. it is a sign of judgment from God. It is not just mainly a satanic thing. It is a sentence upon the people that are described in the book of Revelation are those who refuse to “receive love for the truth” and thus taking the Mark of the Beast in their rebellion. They are also described as being coerced as it says in Revelation 13:16 that he forces them to take it as a sign and pledge of their worship of the beast. Anyone who does not take it is killed. It is better to be killed then take the Mark of the Beast. It also will be part of the testimony of the tribulation believers, “…And I saw the souls of those who had been beheaded because of their testimony about Jesus and because of the word of God. They had not worshiped the beast or its image and had not received its mark on their foreheads or their hands. They came to life and reigned with Christ a thousand years.” (Rev. 20:4). You will notice the wording given in the book of Revelation concerning the people who take it, “And all that dwell upon the earth shall worship him, whose names are not written in the book of life of the Lamb slain from the foundation of the world.” (Rev 13:8). They are under a spirit of irreversible delusion, “With these signs he had deluded those who had received the mark of the beast and worshiped its image.” (Rev 19:20). WE CONCLUDE that anyone who takes the Mark of this satanic animal, the BEAST is damned irreversibly. © 2014 Soul Health Care Ministries. Give credit where credit is due. PROPHETIC VIEWS are not a salvation issue for me. While, rapture “haters gonna hate” it is one of those things (at least for me) that we can agree to disagree on as Christians. In my opinion, very few seem to believe in and preach on the RAPTURE of the saints before the Great Tribulation these days, I will continue to do so charitably. There are those who avoid speaking about the rapture due to the all the false prophecies that have been made especially in the last few years. But it makes no biblical sense to change doctrine because people have misunderstood it or preached it incorrectly. In my humble understanding, there are three Advents or “arrivals” of Christ. The first Advent was his incarnation (God coming as man) when he came to bring us salvation from sin (Matt 1:23; 1 Tim 3:16). The second Advent will be the Rapture of the church “in the air” which will be his salvation from the seven year Great Tribulation (1 Thess. 4:13-18). The third Advent will be his coming to earth to rule and reign for 1000 years ( Rev. 19:11-14; Zech. 14:1-4). 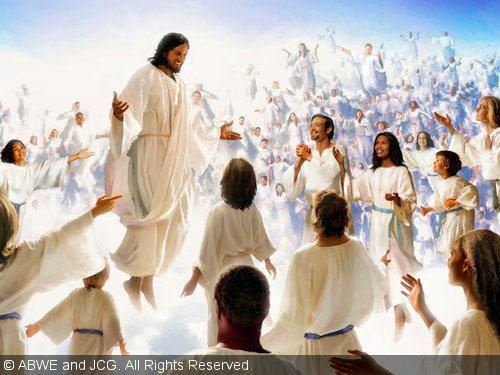 The Rapture is when the saints who died and those who are alive “will be suddenly caught up together…in the clouds to meet the Lord in the air. And so we will always be with the Lord.” (1 Thess. 4:17). Christ’s coming in the Rapture for christian people is imminent meaning that he could return at any time. Many passages suggest this (1 Corinthians 1:7; Philippians 3:20; 1 Thessalonians 1:10; 1 Timothy 6:14; Titus 2:13; Revelation 22:20). The sense of Christ’s coming seems to not hold the same excitement as it once did for some and the idea that, “Today could be the day.” no longer seem to be as the Bible says, “the Blessed Hope.” As a young believer, I was excited about the rapture. I was excited that one day I would be able to see the Jesus that saved me from from the miry clay of sin. The Jesus that I loved was coming for me. I was excited about being in heaven with all the men and women that I was reading about in the Scripture. I was excited to be with those that I knew as believers that had died and went home before me. Many times after prayer or being in church I had a real sense of the presence of Christ knowing he could take me home to heaven at any moment. It also gave me the sense that every day I could expect great things from God. Now at this point in my Christian faith, truly understanding justification by faith alone and the grace of God I can truly do what Paul says and comfort and encourage-not TERRIFY others with these words! Those wonderful words of grace which speak about the coming of Jesus for his people. Some Christians forget, “For to me to live is Christ, and to die is gain. If I am to live in the flesh, that means fruitful labor for me. Yet which I shall choose I cannot tell. I am hard pressed between the two. My desire is to depart and be with Christ, for that is far better.” (Phil 1:21-23). To be with Jesus is FAR BETTER! But today it is like the old preacher said, “Everyone wants to go to heaven but nobody wants to die.” Jesus tells us, “Truly, truly, I say to you, whoever hears my word and believes him who sent me has eternal life. He does not come into judgment, but has passed from death to life.” (John 5:24). I am excited that Jesus who is the resurrection and the life (John 11:25) and Christ who is our life (Col 3:4) will appear for us and bring us home at any moment! Some Christian people wonder if they will make it because they struggle with sin. I did not say trying to get away with sin, but they fight sinful issues. Paul prayed, “Now may the God of peace himself sanctify you completely, and may your whole spirit and soul and body be kept blameless at the coming of our Lord Jesus Christ.” (1 Thess 5:23). Paul also taught that Christ will, “Present you holy and blameless and above reproach before him, (Col 1:22). Child of God get ready, the Lord loves you and wants you with him, he has reserved a wonderful place for you already (John 14:1-3). I think because people have lost this hope of the RAPTURE it seem they are giving in to a fear of death or at least the unknown. The Bible says that Jesus came so through his, “death he might destroy the one who has the power of death, that is, the devil, and deliver all those who through fear of death were subject to lifelong slavery.” (Heb 2:15). In fact, through the new birth (John 3:3-5) the Christian has already been spiritually resurrected. Their bodies will be transformed, into a spiritual body that will be imperishable and and raised in power (Phil 3:21; 1 Cor 15:34, 42, 44). Whoopeee! Those bodies will have no pain, and never die. Each body will have a label marked by the eternal designer God as it were, which says, “made in heaven.” (2 Cor. 5:1). That is awesome. This means they already have eternal life. That is exciting! Today, yes today could be the day. The secret service must be scratching their heads after a Virginia couple not on the guest list crashed a state presidential dinner in honor of Indian Prime Minister Manmohan Singh. They even shook hands with President Obama. Michaele and Tareq Salahi were all smiles and acted like movie stars during the whole event, appearing in such very nice pictures. Although the Secret Service said the President was not in danger, they had a clip board and their names were not on the list. They still got through. I mean what a close call. The Secret Service has screened over a million visitors and protected ten thousand sites for the President but I guess no one is perfect. They are still attempting to see if the couple falsified statements breaking federal law. 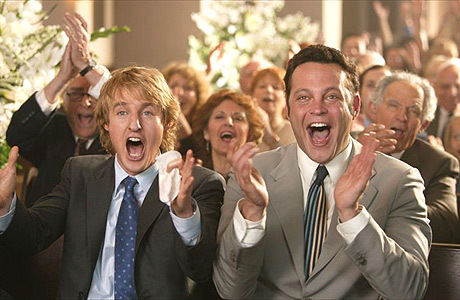 In the Bible there was a King that had a problem with his wedding guest list. The Secret Service of his day could not get those initially invited to come, in fact, they were hostile. They mistreated his servants and even killed some of them. The king lost it, “But when the king heard thereof, he was wroth: and he sent forth his armies, and destroyed those murderers, and burned up their city.” (Mt 22:7). He provides the attire we need. Never forget it. You are not just cleansed but clothed. Not only party preparations were made but I bet there was a spa of some sort. Then these beggars get to choose from the princes, princesses and may I say possible the Kings clothes himself. I know “the violent take the kingdom of heaven by force,” but they were invited and grabbed the garments offered them with joy. You can’t imagine anyone refusing this invitation and the new wardrobe but being singled out like this, this beggar must have shrunk ten sizes. You will not be able to crash into heaven per se. You better be dressed in garments of salvation offered by God’s grace alone or you are going to be exposed as a fraud. That verse says it. This guy had no excuse. He could have told the King’s servants that he did not have the proper attire for such a royal affair and they would have seen to his needs. The servants of the King are like that, willing in the Day of his Power (Ps. 110). We see the King as powerful, subduing his enemies, gracious invites people who want to come and unpartial raising beggars from off the ash heap of life and the gutters of life up as heads of state and here is this man who does not have the sense to wash up and dress right! He was not even a good wedding-crasher. Examine yourselves and make sure, you are clothed on that day when the King comes and inspects us by the gospel. You are invited to come, rejoice and receive good things from your Lord. “And the foolish said to the wise, “Give us some of your oil, for our lamps are going out.’ But the wise answered, saying, “No, lest there should not be enough for us and you; but go rather to those who sell, and buy for yourselves.’ And while they went to buy, the bridegroom came, and those who were ready went in with him to the wedding; and the door was shut. Afterward the other virgins came also, saying, “Lord, Lord, open to us!’ But he answered and said, “Assuredly, I say to you, I do not know you.’ Watch therefore, for you know neither the day nor the hour in which the Son of Man is coming.” (Matt. 25:7-13NKJV). This parable is an earthly story with a heavenly meaning. The Kingdom of God is like these ten virgins. The virgins would seem to be symbolic of people who say they are Christians. They all appear to be believers. But they are not. In the Age to come, only the righteous and holy people will live together. Jesus said that in his day and ours it is like coexistence between weeds and wheat, good and bad, and of course, the wise and foolish (Matt. 13; Mark 4). The Lord’s verdict is that five were sensible enough to have that secret stash of oil and five were foolish for not bringing it. The parable goes on to show the bridegroom delayed in his coming. The hour became late and there was no specific time given for the bridegrooms coming so they nodded off and went to sleep. There is some spiritual blackout approaching before Christ’s coming and if there are no batteries for your spiritual flash light you will be in the dark forever. Oil is an accepted symbol of the Holy Spirit and the oil mentioned here in this passage has to do with the work of the Spirit of grace in our hearts. The Holy Spirit wants to teach us about Christ, “But when the Comforter is come, whom I will send unto you from the Father, even the Spirit of truth, which proceedeth from the Father, he shall bear witness of me.” (John 15:26RV). He gives us illumination and understanding about Jesus. The Holy Spirit also wants to help us in our devotion and dedication to Christ, “For it is God which worketh in you both to will and to do of his good pleasure.” (Phil 2:13). In another version it says, “It is God who produces in you the desires and actions that please him.” (GW). The grace of God is the secret stash of the oil grace that will burn with knowing and loving Christ that gives us the illumination and dedication to Christ we need. There are two instances in the gospel that shed light on this passage. On the mount of transfiguration when Jesus brings his disciples up to pray, the disciples slept: “But Peter and they that were with Him were heavy with sleep and when they were awake they saw his glory…” (Luke 9:32). When Christ unveiled his glory instead of praying they experienced blackout. Like oil in the lamp that fuels its flame so that it lights up the room, Christ wants to illuminate our hearts by his Holy Spirit teaching us about him. The light of Christ enlightened our hearts when we first became Christians (Heb 10:32). This is called illumination or the time “God’s light shone on us” (GNB). But in the time of illumination or the time Christ would have given them understanding they experienced blackout! Again, in the garden of Gethsemane, while Christ was agonizing in prayer, they could have demonstrated their dedication to him. Instead he found his disciples, “…sleeping for sorrow, and said unto them, “Why sleep ye? Rise and pray lest ye enter into temptation.’” (Lu. 22:45-46). What is interesting is that the name Gethsemane means “oil press” and can relate to the beaten green oil used for the golden candlestick of the Old Testament tabernacle. Jesus prayed and profusely sweat great drops of blood (Luke 22:44) and he wrestled with drinking the cup of God’s wrath against sinners on our behalf. He would say, “Not my will but thine be done” (Luke 22:42). The oil of devotion was pressed out of the Son of God who learned, “obedience by the things which he suffered (Heb 5:8). It was the same for the disciples, when the oil of devotion should have been pressed out or created in their hearts they slept. In the time of devotion and obedience they blacked out. The disciples were blacked out in sin. They had to be saved by grace (Eph 2:8-9). Sleep on take your rest Jesus told them (Mk 14:41). Jesus would have to sleep for them three days in the tomb (1 Cor. 15:1-3). Jesus turned them back to himself (Luke 22: 31-32). That is the oil of God’s grace. Sleeping means they were out of the picture. They could not manufacture oil or save themselves. Like Adam (Gen 2:21-22) and Abraham (Gen 15:12). God was doing a work of grace they had no part in (Eph 2:8-9). Only Christ could give them the oil they needed. We know that Christ’s everlasting love has softened our hearts in his Sovereign grace, “Awake thou that sleepest, and arise from the dead, and Christ shall give thee light’ (see Eph. 5:14). They all were startled awake as they heard the cry, “Behold the bridegroom approaches go out to meet him!” Now, the only time that remained at this point was to ignite their lamps. There are people very proud of their lamps. They have the “sinner’s or salvation prayer” lamp or the water baptism lamp, church attendance lamp, the ministry lamp but no oil of grace in their spiritual inventory. I want to tell you that they loved their lamps of self-righteousness more than the oil of knowing and loving Jesus Christ! That is clear from this parable. There is no difference between the ten virgins until that fateful moment when we see five ladies holding radiant torches and the others staring at their smoldering lamps. These types of weddings commonly took hours and this presented the possibility for their lamps to burn out so the sensible girls brought extra oil. The thing that is most surprising is that since most of the weddings of that culture took place at night, it would seem just plain common sense to bring oil with them, thus their folly and stupidity is seen. Something so important, a fact of such common knowledge is overlooked. Jesus taught, “You also must be ready all the time for the Son of Man will come when least expected.” (Mt. 24:44). The five simple ladies were excited at first, but their enthusiasm sprung a leak. As far as they were concerned, the party is over before it has begun. We must remember that the oil was something that the sensible virgins could not give to the foolish virgins. We cannot give the oil to others; they must buy it for themselves. This means a denomination or organization cannot dispense oil. You cannot rely on a refueling with oil from your pastor or church. Children who have Christian parents cannot siphon their parents oil tanks for a ride into heaven, nor can a wife borrow oil from her husband or a husband from his wife. They were asking the wrong people at the wrong time for oil. It is Christ and only Christ that can pour the extra oil of his spirit into our hearts. No one can give you what he can. What a lesson for us- we should be found greeting Him at the door upon His arrival, not shopping for oil in the middle of the night. Love and devotion cannot be bought. Anyone who waits this long does not love and know Jesus they only like his parties. The sensible virgins watched the foolish go out to buy oil at midnight and of course, there are no shops open. They slept through business hours. Our Father’s business of salvation will close its doors one day. There is coming an hour where no matter how genuine the repentance God will not honor anyone’s requests due to their procrastination. “Seek ye the Lord while He may be found, call ye upon Him while He is near” (Isa. 55:6). You and I are on God’s schedule, not He on ours. The bridegroom comes while they were away and the door of “opportunity” is permanently shut with a sickening clap. It was customary for the owner of the house where a wedding was taking place, after all the invited guests were checked in, to close the door, not allowing a soul to enter no matter how persistent they were in their pleas. This prevented the curious and unwelcome guests from access to the reception. The door we speak of is the entrance to God’s kingdom (Lu. 13:28). It will be like the constant ringing of a phone, and no answer. It will be like a running to a gate at the airport, to find you have missed your flight and all flights to that place have been cancelled indefinitely. It will be knocking on a door that refuses to open. The Bridegroom will eventually separate those who know him from those who do not. Christianity cannot be casually browsed through, you cannot come late! What a warning for those who have lamps but no oil. Like Augustine said, “God promises forgiveness for repentance but what promise does God give for our procrastination?” There is coming a time when God cannot be reached and therefore be ready at all times. The foolish virgins can hear the laughter and music of the wedding reception and their hearts see a closed door. They are missing the wedding. They panic and bang and bang on the locked door until a response is given. He interrupts, “Your kind of knowing can hardly be called knowing. You don’t know the first thing about me.” (see Luke 13:25-27Message). No excuses, apologies, or explanations are accepted. Why? This is the heart of the matter: they are strangers to him. He does not have a close relationship to them. They do not burn with the secret stash of oil that shows they know and love Christ. Jesus affirmed this declaring, “I know mine own and mine know me” (John 10:14). Salvation is God knowing us. God is omniscient he knows everything but this is a different knowledge. It is saving knowledge. Paul said, “But now after that ye have known God, or rather are known of God…” (Galatians 4:9). It is a privilege for a person to have God reveal Himself to them. It is an honor for us to love him who loved us so much. We would do well to put salvation in those terms. As for the foolish virgins of today, they have been duped by the worst kind of lie, self-deception, and they do not know the bridegroom. They only look like virgins and have a lamp, but they have no oil. There are many who profess to belong to Christ and even claim to know and love Him, but they only have a façade of religiosity, just an empty lamp with no light, with no evidence of “the power of God unto salvation…” (Romans 1:16). This is a terrifying prospect for silly neglectful church goers. They do not care until it is too late. Their “break glass in case of emergency” relationship with God will not help them. The Lord’s delay serves as an opportunity for these hypocrites to sin. They do not see it as the Lord’s longsuffering (2 Pet. 3:8-10) and giving them opportunity to repent (Rev. 2:21) but they think the Lord is neglectful and careless about his promises. Jesus warned, that day would be, “like a trap. That day will surprise everyone on earth.” (Luke 21:35CEV). They will be caught and trapped by their own hardness of heart. As for the elect wise virgins, they went with him into the marriage! This passage is an encouragement because God is our Savior. Heaven is where Jesus is. That is why the wise virgins want to go to heaven. It is not heaven unless Jesus is there. We are saved and supported by the secret supply of his grace in the most difficult of times. His mercy and kindness is extended to all who will prepare to meet with Him. They are promised that their “bottle of oil shall not fail” (1 Kings 17:14). They are vessels of His mercy and He who is the author and finisher of their faith oversees their salvation. Thomas Brooks the great puritan writer wrote about this and said, “Oh, God forbid that my heart should be affected or taken with anything in comparison with Christ. The more I know Him, the more I love Him; the more I know Him, the more I desire Him; the more I know Him, the more my heart is knit unto Him. His beauty is captivating. His love is ravishing, His goodness is attracting, His manifestations are enticing, His person is enamoring, His lovely looks please me! His pleasant voice delights me, His precious Spirit comforts me, His holy word rules me! All these things make Christ to be a heaven unto me! INJURED BY ADAM, BEATEN BY MOSES, SAVED BY CHRIST.